I know, I know. It’s been forever since I posted a recipe. In my defense, we had a lot going on. The last year has been the busiest, and best, ever. We were involved in a not-so-fun lawsuit (are they ever fun? ); planned and executed an incredible destination wedding for our daughter and now son-in-law; put our CA home of 14 years on the market and sold it; purchased our forever home on Maui; packed up and/or purged many years of memories and other junk; moved to Maui!! So, while it’s all great as you can see, my head wasn’t really in the game for posting recipes, even though creating recipes and cooking is always a regular thing for me. This particular recipe is one I came up with as a way to use a huge bag of broccoli I had gotten at Costco. It turned out great. 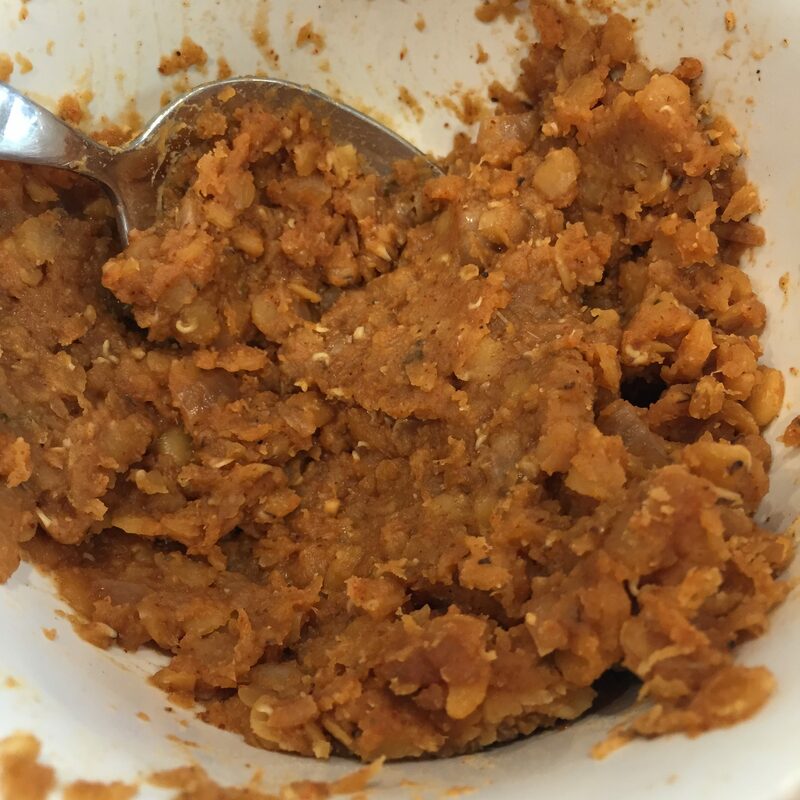 I’ve made it a few times since and it really is yummy – the family loves it. It’s easy too. As with most healthy, plant-based dishes, there is prep and chopping involved but once that’s taken care of, the rest is a cinch. And remember, while Earth Day is a great way to commemorate our amazing planet, we need to do it EVERY DAY! Do your best, every day, to avoid animal products (nothing damages the planet more than livestock production and over-fishing), minimize use of single-use products that pollute our oceans and harm sea life, use less electricity, walk or bike instead of driving, consider a hybrid or electric car, pay close attention to water usage and avoid using chemicals in your home. YOU GOT THIS! I’m so happy I figured out a way to use the huge bag of riced cauliflower I bought at Costco. This sauce is creamy and rich tasting without clogging arteries…. and as an added bonus, very easy to make. Great on veggies or whole grains, as well as pasta. Give it a try!! Tacos are the world’s best food. That’s how we feel in my house, anyway. Tacos are just so versatile and easy. 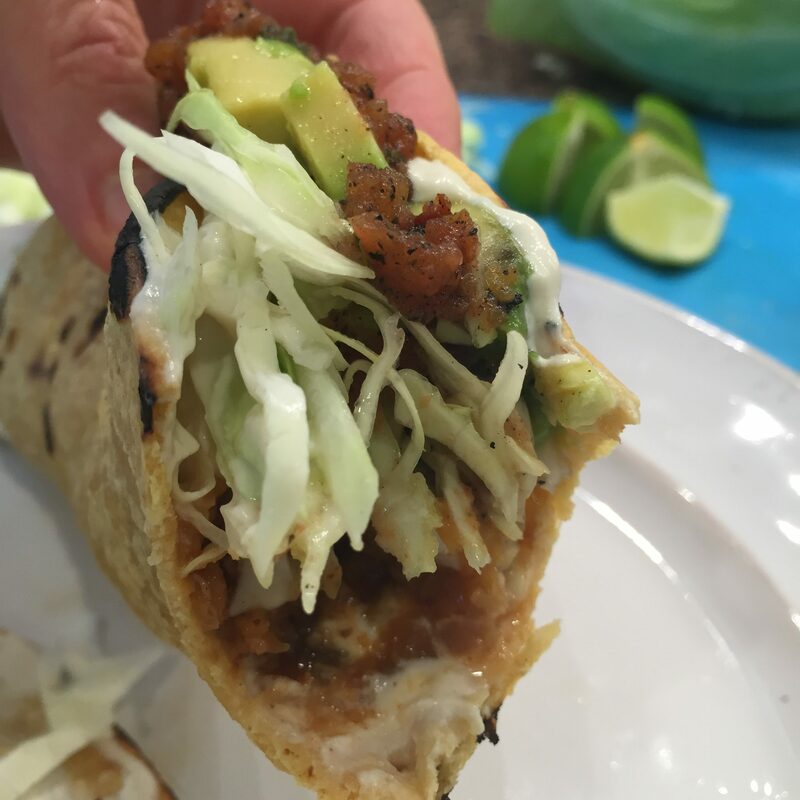 You can put practically anything in a tortilla and call it a taco! We use all sorts of different things like mushrooms, squash, potatoes, veggies, and all different types of beans. This one, using red lentils, is a staple for us. It’s super easy and is reminiscent of ground taco meat, like the kind we used to have back when we ate like crap and fried our tortillas (did I just say that?). Of course, you can make tacos with the fake taco meat sold in stores, but that stuff is highly processed and has a ton of fat and oil. I’d much rather use healthy, fiber-rich filling and save my fat for avocado and Sour Un-Cream. I use my own, homemade taco seasoning but you can use store-bought if you’d like. For me, most of them are too spicy, salty and many have MSG. See below for my recipe. Also, see in Recipe Notes for slow cooker directions. 2 TBS chili powder, 2 TBS cumin, 1 TBS smoked paprika, 1 TBS sea salt, 1/2 TBS onion powder, 1/2 TBS garlic powder, 1 tsp oregano, 1 tsp sugar, 1/2 tsp pepper, 1/4-1/2 tsp cayenne. Shake everything up in a small jar and use whenever you make Taco “Meat”. I try to have a batch of these around as often as possible. They are so flavorful and easy to make. Great to have on hand to grab when you need something quick. 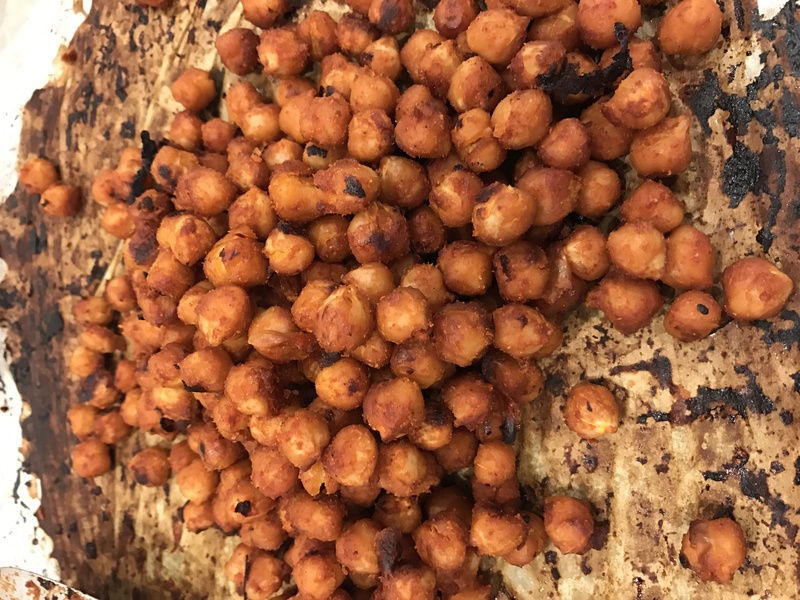 They don’t quite come out crunchy but they are firm, and the sauce hardens somewhat as the chickpeas cool. If you want them crunchy, I would try cooking them longer, at a higher temp or use a dehydrator. This recipe came to me while I was working out, as many recipes do (I should be thinking about the workout and not food, I know!). I wanted to throw something together for an easy lunch and this is what I came up with. They are easy to make but taste like they were a lot of work. They’re moist but hold together well. Really yummy. 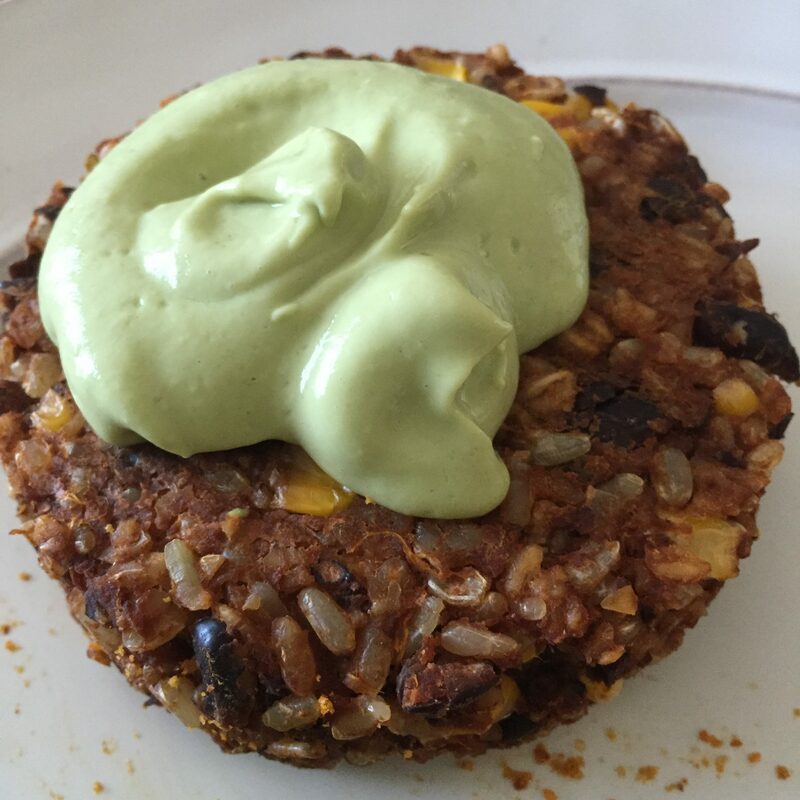 I like serving them with avocado and Sour Un-Cream, or my Toasted Pepita Avocado Sauce as pictured. 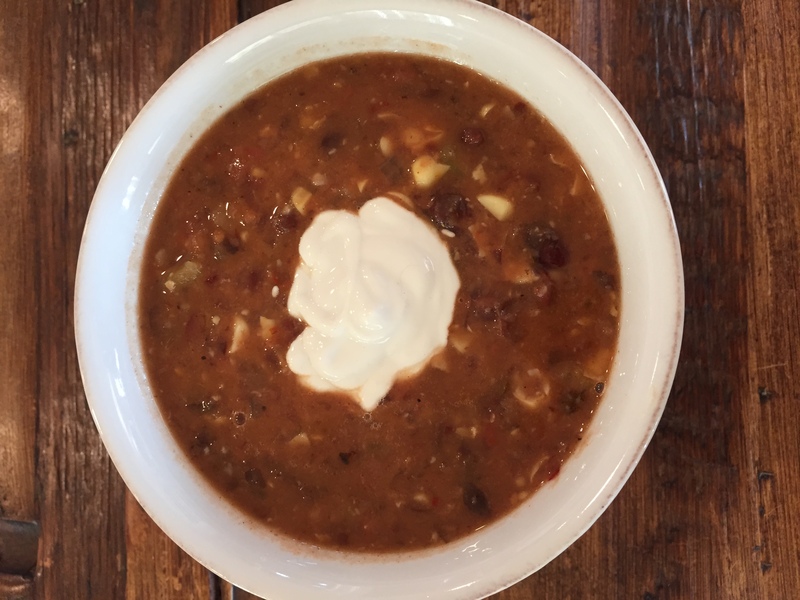 This delicious, hardy dish has flavors similar to chili, with the texture and consistency of a thick chowder. I love it! Top with avocado and/or Sour Un-Cream. I have made this using both canned black beans and beans I made from scratch with the pressure cooker. As is usually the case, I preferred the version with the homemade beans. If you have a pressure cooker, it’s SO easy. Soak 1 pound of dried black beans overnight or 6 hours (some say soaking isn’t necessary but I always do). Rinse and place in your pressure cooker and add just enough water to cover the top of the beans – the water should be just touching the beans. Add 4 cloves crushed garlic, a few bay leaves and 2 tsp cumin seeds. Cook at high pressure 14 minutes, and let the pressure come down naturally. Beans are done! Makes about 5 cups of black beans. Remove the bay leaves, stir and add the whole batch to the rest of the Chili Chowder ingredients. I order my dried beans online from Rancho Gordo, a farm in Northern California. They are heirloom beans, which are open-pollinated seeds that can be planted and you’ll get the exact same bean. They tend to have a lower yield and can be much more difficult to grow but the pay off is in the unique flavors and textures that you don’t find with bland commodity beans. They are always fresh too, which is great. You never know how old the beans at the grocery store are, and old beans can take forever to cook. I highly recommend Rancho Gordo beans. It’s fun to experiment with all the different varieties they offer. Now get cooking! One of my most favorite things about being a recipe blogger is getting review copies of cookbooks from publishers. I have a thing for cookbooks – it’s actually getting a bit out of hand. Need more bookshelves. Anyway, Plant-Powered Families by Dreena Burton, one of my favorite vegan authors, is one of the books I get to play with this time and it’s a real treat. I’ve always been a huge fan of Dreena’s but the one thing that bummed me out in the past was that I had to adapt her recipes to not include oil. I was thrilled to find she doesn’t use any in her latest work. Yay! One of the things I like most about Dreena is how considerate and detailed she is with her recipes. She clearly spends a lot of time tweaking and getting the ingredients and methods just right to make things as easy as she can for her readers, and she shares tips, tricks and alternatives for many situations. She adds notes to each recipe with her suggestions for kicking it up, mellowing it out, use this instead of that, or simply adjusting flavors for adults’ or kids’ tastes. Dreena has 3 young daughters so she understands the challenges involved in getting healthy food into picky kids who are busy and on the go. Her recipes in this book are appealing to kids and adults alike with dishes like Sunday Morning Pancakes, Apple-Spice Hemp Muffins, Red Lentil Hummus, Zippy Chickpea and White Bean Dip, Cream of Cauliflower Soup, Umami Sun-Dried Tomato and Almond Burgers, Home Fries, Lemon-Kissed Blondie Bites and Banana Butter Ice Cream, just to name a few of many. The book includes mouth-watering photos, and is laid out really nicely beginning with a section on priming your pantry with plant-based staples, followed by color coded chapters such as Healthy Mornings; Lunch Fixes; Salad Dressings, Sauces and Toppers; Dinnertime; Sweet Treats. 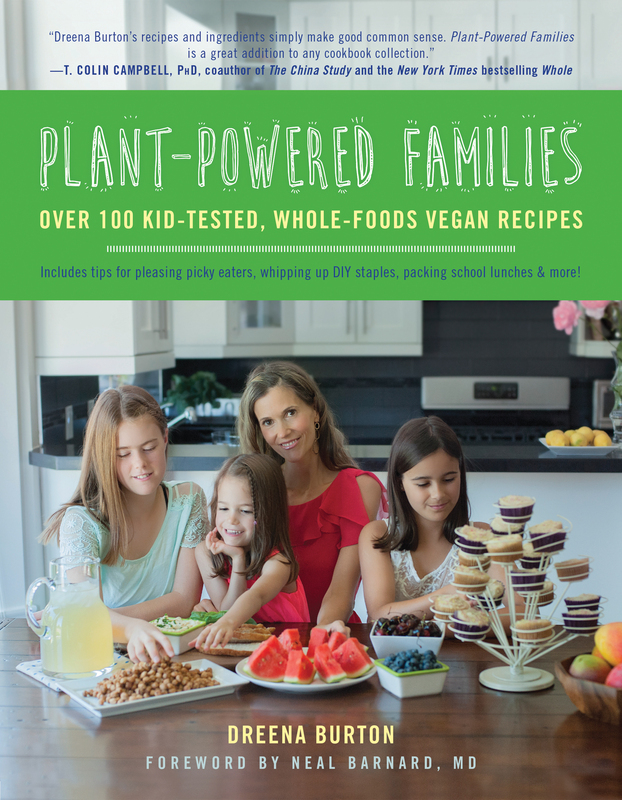 The back of the book has some cool resources like a section on Picky Eaters and how to manage them, School and Lunchbox solutions, Tips for Hosting and Attending Kids’ Parties, Sample Meal Plans and a FAQ’s section. She didn’t miss a beat with this book – everything is covered, and honestly, you could use this book and none other for your family and be set. My only complaint about this book is that it doesn’t include allergen notations for each recipe, which is pretty lame since it’s easy to do and most books have. 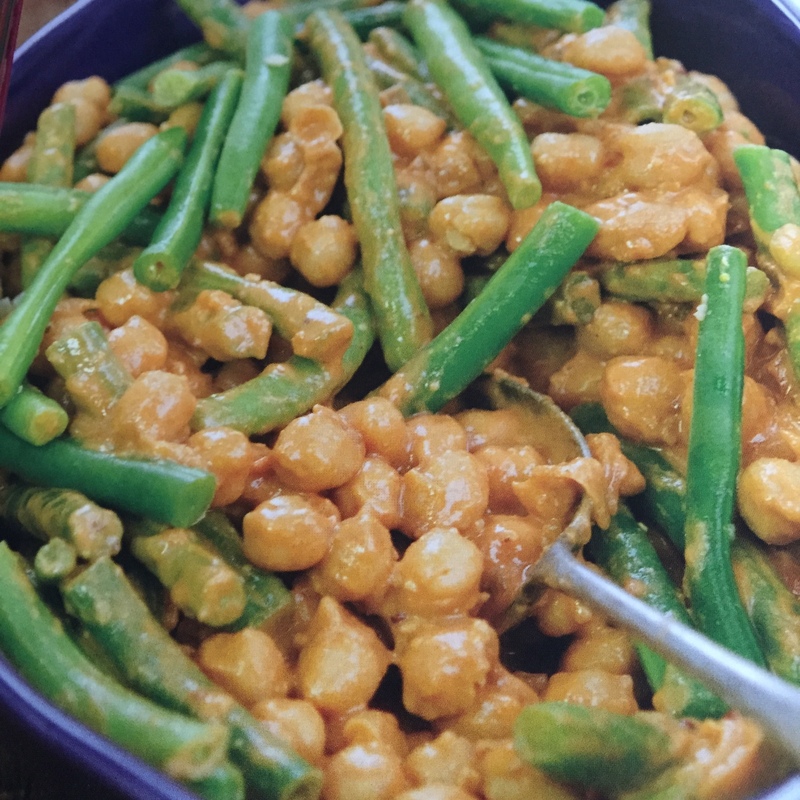 Everything I’ve made from the book has been excellent, and today I’m sharing one of the recipes with you – Saucy BBQ Chickpeas and Green Beans. 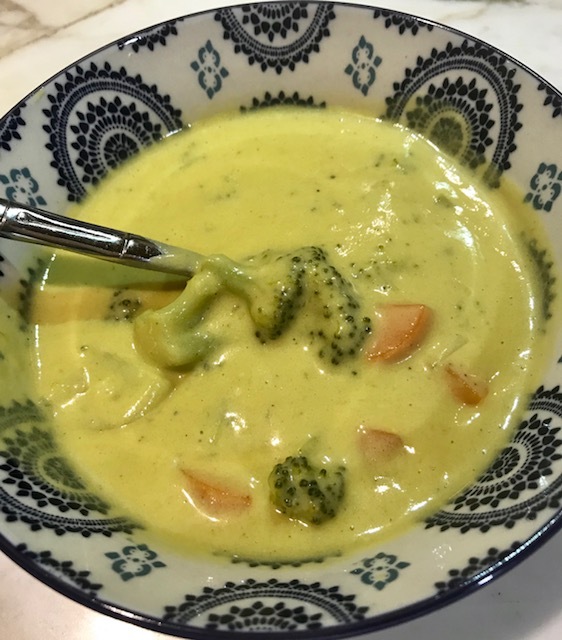 I used broccoli because hubby hates green beans but otherwise I stuck to the recipe and it was delicious – and so simple! I will be doing a drawing to give away a free copy of this awesome book. Tune in to my Facebook page for details on how to win! https://www.facebook.com/PlantifulWellness Enjoy the recipe. If you’re anything like I used to be, you equate pressure cookers with the 1950’s and a fear of getting hit in the face with scalding steam and a hot lid. I hear it all the time; “I have a pressure cooker, but I’m scared to death to use it.” Fear not, my friends! 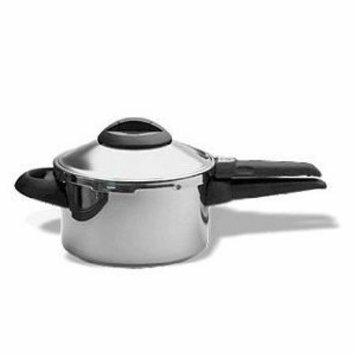 Nowadays pressure cookers have been built with safety features to assure ease of use without scalding, or sky-rocketing lids. 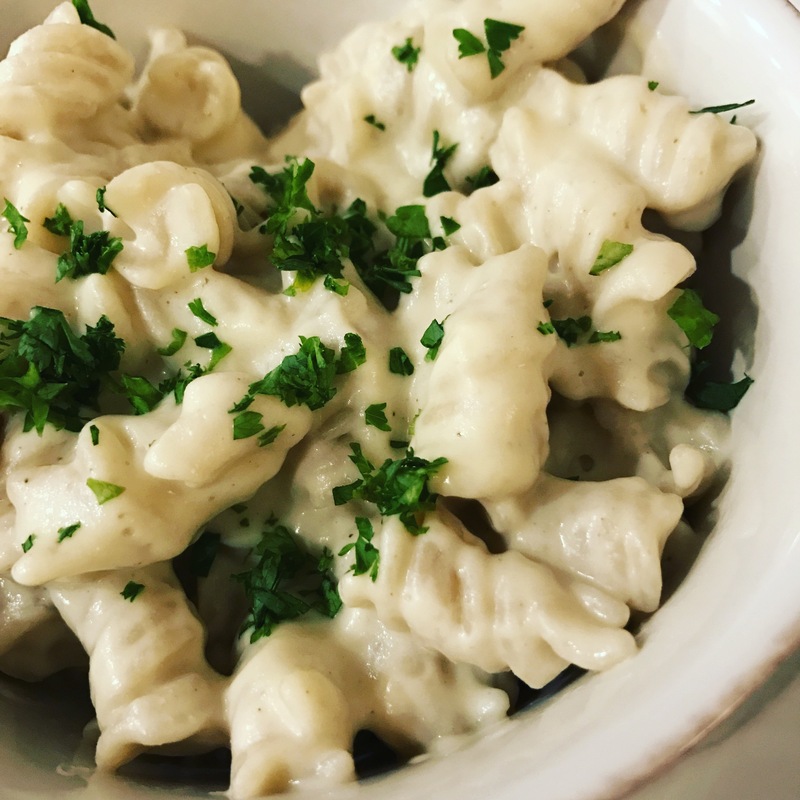 There is definitely a learning curve as it’s a different way of cooking, but once you experiment and get a feel for it, you’ll wonder how you ever went without! Time savings – “I don’t have time” is the most common reason I hear for why people don’t prepare more of their own meals at home. Well, a pressure cooker can help! Example: brown rice would normally take about 40-45 minutes when boiled. 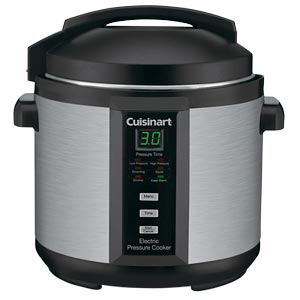 Using a pressure cooker it will cook in half the time. Garbanzo beans take 14 minutes of cook time (not excluding the time it takes to come up to pressure, and release naturally). Nutrient retention – Since the food is exposed to heat for a shorter period of time, fewer nutrients are lost in cooking. As well, vitamins and minerals are not whisked away by water since there is so much less of it. Energy savings – Thanks to shorter cooking times, the fire and/or electricity are used less. No stirring required – If you’ve ever made risotto you know what a drag it can be, stirring and stirring and stirring. You can make arborio rice risotto in the pressure cooker, at 5 minutes high pressure, without having ever lifted a spoon. How cool is that? Less water – water is a precious resource that is not as abundant as it once was, especially here in Southern California. The less water we can use in every aspect of life, the better. So basically, pressure cookers are awesome. They can be used for anything you’d boil, steam or braise. The tricky part is converting a recipe and figuring out how much liquid to use. It just takes some experimenting. In the meantime I wanted to share this yummy recipe with you for Butternut Squash Risotto using brown rice. Easy and so delicious, without the constant stirring typical risotto calls for. Also, a wonderful cookbook for pressure cooking is The New Fast Food by Jill Nussinow. Invaluable, really. Have fun cooking under pressure, and I hope you enjoy this dish! This dish is one I make for the family at least twice a month – they love it (hence the name). The creamy red sauce is yummy without being overly fattening, and I love all the chunky mushrooms and lots of fresh basil. Hope your family likes it as much as mine!